After what feels like an eternal wait, Everton are back in Premier League action on Monday night. With Sky Sports selecting the fixture for their Monday night football, the Blues and Newcastle have had to watch and wait as everyone else played out an entertaining weekend of top flight football. A win for Everton tonight, would propel the club up to fourth place in the fledgling Premier League table and leave them looking down on a number of highly fancied rivals. 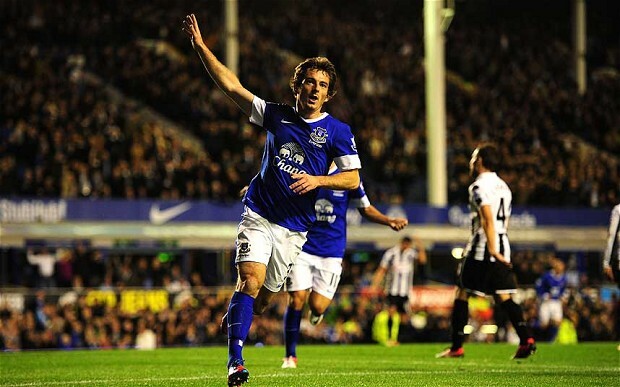 Everton have a strong home record against Newcastle, but will not rest on their laurels ahead of this crucial fixture. As the only unbeaten side in the league, Everton don’t need to look far to see that complacency costs results, with many of the teams tipped for the title, already losing 2 or 3 times to lesser opposition. Newcastle, despite finding themselves towards the foot of the table have enjoyed some good results already this season, but have failed to find even a semblance of consistency, with a home defeat to Hull City coming after a strong victory on the road at Villa Park. Everton will be wary of their talented forward players, and know all too well the devastating impact that Hatem Ben Arfa can have on a game, with the Frenchman scoring the only goal of the game the last time Newcastle won at Goodison in 2010. Martinez is expected to make a host of changes from the side that slipped out of the Capital One Cup in disappointing fashion. Gerard Deulofeu and John Stones both impressed in that game, but both are expected to take their place on the substitute’s bench for this match. Tim Howard will return in-goal, with the regular back four, Jagielka, Distin, Coleman and Baines all fit to continue. The competition for places in midfield is fierce and Martinez faces a difficult decision, with Barry, Gibson, McCarthy and Osman all vying for two starting slots. Ross Barkley will continue at the peak of the midfield triangle, with Kevin Mirallas and either Steven Naismith or Steven Pienaar (subject to fitness) playing on the flanks. Romelu Lukaku will start his first Premier League game for Everton in attack, with Arouna Kone and Nikica Jelavic competing for a place on the bench. Expected Starting Team: Howard; Baines, Coleman, Jagielka, Distin; Barry, McCarthy, Barkley; Mirallas, Naismith, Lukaku. Our classic action this week comes from the championship winning season, 1986-87. With Everton closing in on the title, Wayne Clarke scored a hat-trick to give Everton a comfortable 3-0 victory over Newcastle United.